sunprincess222 has no other items for sale. Details about CHRISTIAN LOUBOUTIN PIGALLE FOLLIES NEVER WORN!!!!!! 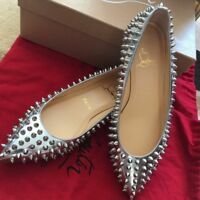 CHRISTIAN LOUBOUTIN PIGALLE FOLLIES NEVER WORN!!!!! !